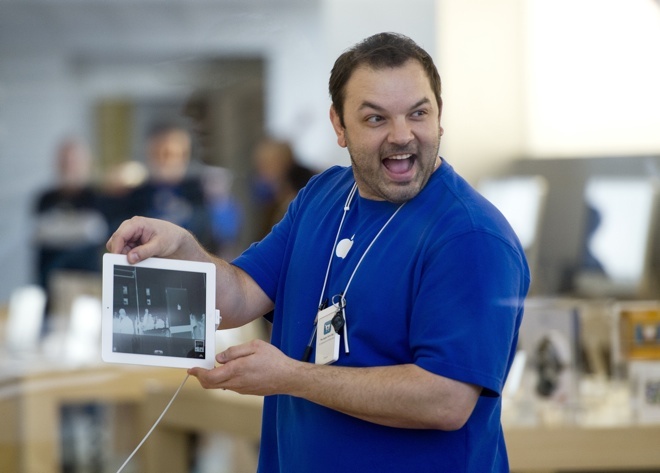 Apple is on the verge of launching a pilot program which will enable its retail employees to borrow an iPad for up to a week, according to a report by CNet. The initiative apparently has its roots in the idea that members of Apple’s retail staff should be more familiar with its products in order to better assist customers. The program will first be launched in the company’s San Francisco store on 1 Stockton St and will eventually spread to its other stores as well. The iPads will come from a stack of loaner devices that the employees will be free to use for up to a week before turning them back in. We have no word yet on when the company plans to put this program into action.